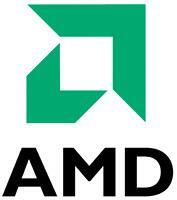 AMD announced today that it has hired Apple’s former CPU architect Jim Keller as corporate vice president and chief architect of AMD’s microprocessor cores. Keller will reports to chief technology officer and senior vice president of technology and engineering Mark Papermaster. Keller prior to AMD works as a director in the platform architecture group at Apple focusing on mobile products. Before Apple, Keller was vice president of design for P.A. Semi, a fabless semiconductor design firm specializing in low-power mobile processors that was acquired by Apple in 2008.